Sleevelesss overcoat as a housekeeping uniform in Chennai !! 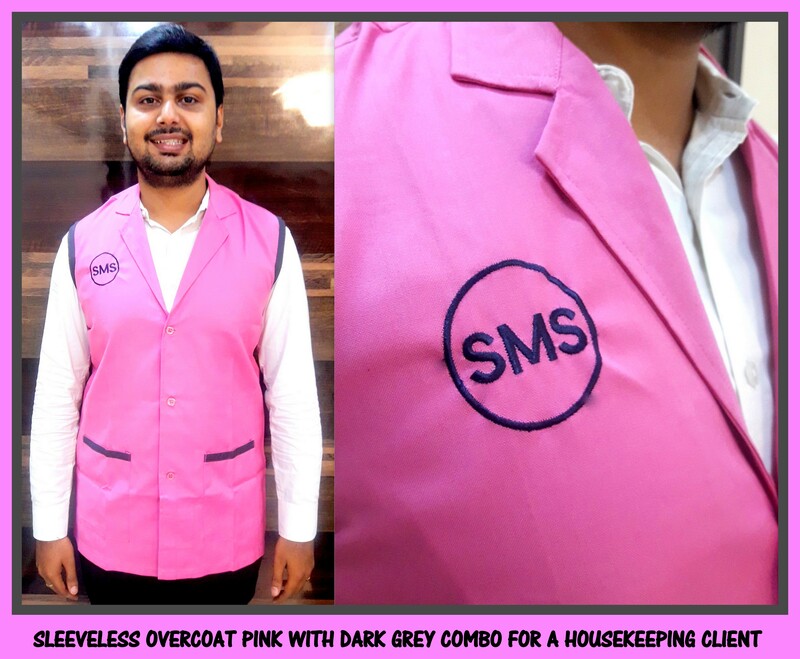 Sleeveless overcoat in a combo of pink and grey piping is readily available with us at RSM Uniforms. The cloth used is terry cotton of very good quality and the sizes available are 38 40 and 42. For your requirement of housekeeping uniforms from our readily available uniforms or you want a uniform customized according to your taste call us now and we would be glad to assist you with your uniform requirements.Happy to help you.